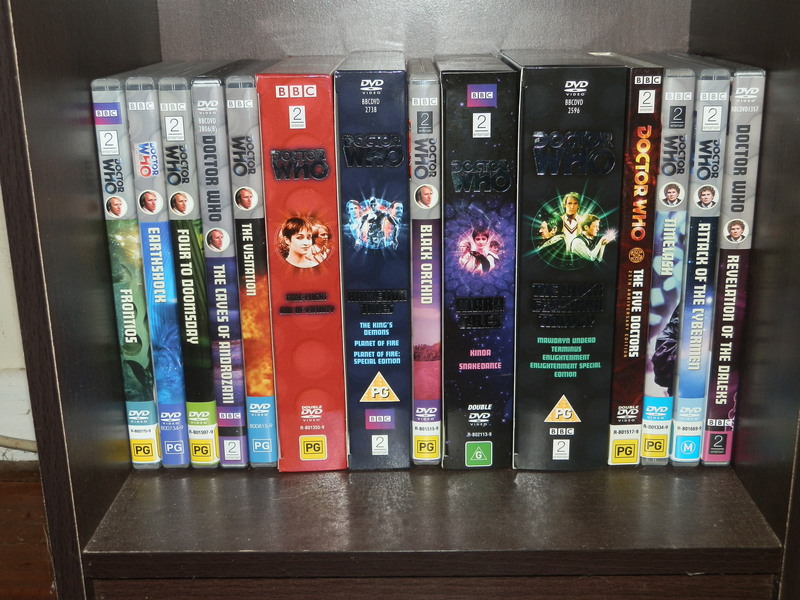 Having just received in the mail the last two Classic Series Doctor Who DVDs required to complete my collection, it’s probably an appropriate time to discuss the best ways to build a DVD collection. With the exception of Spearhead from Space, the Third Doctor’s debut, Classic Series Doctor Who is only available on DVD. Spearhead from Space has been released on Blu Ray as it is the only Classic Series serial produced entirely on film. New Series Doctor Who is now released on both DVD and Blu Ray, although Series One through to Four and the 2009 Specials are DVD only. Please note that this article is written from an Australian perspective. Unless otherwise stated, all references to box sets refer to Region 2 and Region 4 releases only. 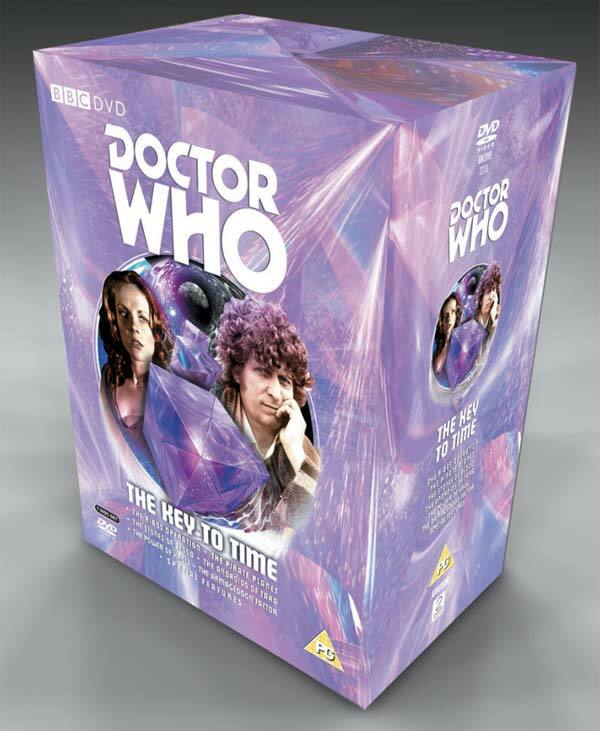 American Region 1 Classic Series Doctor Who DVDs have been released by individual serial only. To the best of my knowledge there are no American Classic Series box sets. This is probably stating the obvious, however procuring a complete Doctor Who DVD collection would be prohibitively expensive if all your titles are purchased from bricks and mortar stores. Also, finding any one title that you require in a physical store could very likely see you traipsing the length and breadth of your city. Retailers of DVDs/Blu Rays tend not to stock extraordinarily large catalogues of Doctor Who DVDs. JB Hi Fi is perhaps one exception and you can generally find a very long shelf full of Who titles in each store. Even then, you’ll only find a small percentage of releases at any one store. JB Hi Fi’s website has search functions enabling you to search by title and then ascertain stores with stock. Delivery is available from JB Hi Fi for only 0.99c per DVD. When considering purchasing online look for stores that offer free postage. Postage charges can be a real killer and you can potentially save a great deal with free or low cost postage. Online retailers in Australia that offer free postage include Fishpond and The Nile. For Australian purchasers it is unfortunate that the prolonged period of a high Australian dollar has come to an end. After reaching a high of around 108c US, the dollar has now plummeted to 91c US. I was fortunate enough to do the bulk of my collecting when the Australian dollar was at its peak but nonetheless, significant savings can still be made. Region 4 DVDs can be prohibitively expensive however Region 2 DVDs are frequently more affordable. Please see the paragraph below on UK Region 2 DVDs for further details. In recent times I’ve found the most competitive prices are available at Fishpond. When purchasing from overseas be prepared to wait for your titles to arrive rather slowly. Between four and six weeks is not an uncommon time frame for arrival from the UK. When perusing an online store such as Fishpond you will generally find up to three listings for each DVD title – one for each of Regions 1, 2 and 4. Region 1 titles are from the US and are even more expensive than the Australian and New Zealand Region 4 titles. Region 2 titles, from the UK, are nine times out of ten the cheapest. What these websites invariably don’t tell you is that the BBC’s Doctor Who DVDs are dual coded for Regions 2 and 4. Instead the titles are generally listed as Region 2 only, with the usual disclaimer stating that you will require a multi-region player. It’s only when you have the DVD in your hands that the dual coding is obvious . Once you’ve bought your first Region 2 advertised Doctor Who and seen for yourself that it’s dual coded, you’ll wonder why you’ve been wasting your money on the higher priced Region 4 ones for so long. Region 2 DVDs are also more attractively packaged than the Region 4 ones. 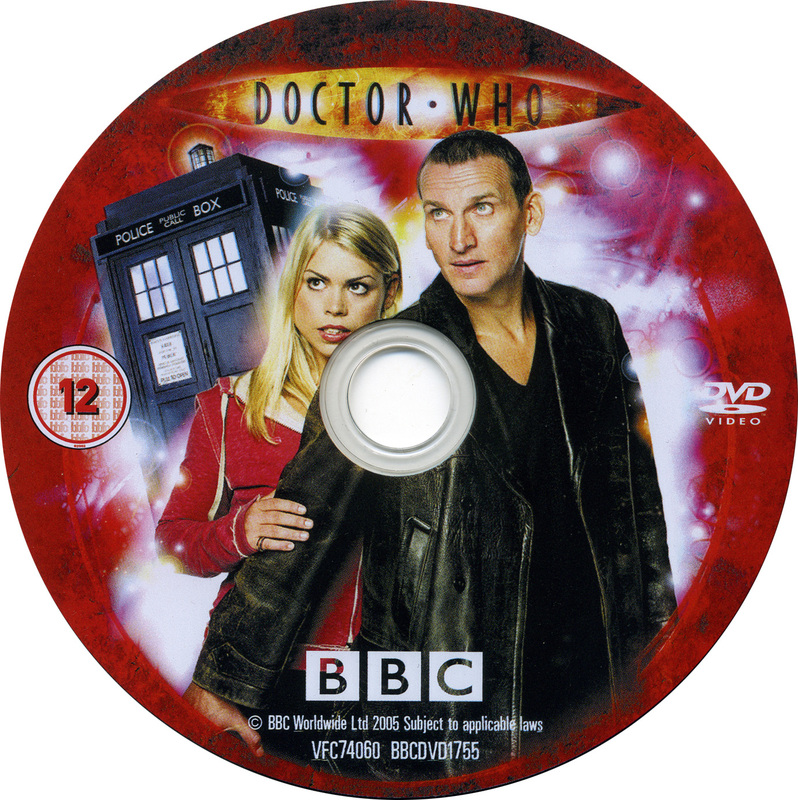 Nearly all DVDs have the whole of the disc covered in a colour graphic from the serial. The Region 4 DVDs are generally a solid colour only with no pictures. Region 2 DVDs also have a 4 page brochure setting out the production details and special features. This is a great deal handier than the Australian and New Zealand releases that have this information printed on the reverse side of the cover. This necessitates removing the printed cover from the sleeve if you wish to read it. The Region 2 brochure is also in a larger font than the Region 4 releases, therefore making reading easier. If you’re still not convinced that the BBC’s region 2 DVDs are dual coded for Region 4, consider that even your cheap Region 4 DVD player may be multi-region. My Studio Canal release of The Dalek Collection which includes the two Dalek movies, Dr. Who and the Daleks and Daleks: Invasion Earth 2150 AD, is listed as Region 2 only. It’s a non BBC release. It plays perfectly on one of my $25.00 K-Mart Region 4 DVD players. You can read two interesting articles from the Sydney Morning Herald here and here. In these articles, and the numerous comments to them, you will find discussion of Multi-Region (Region-Free) DVD players being marketed in Australia as Region 4 only. If you want to be 100% certain then I would suggest buying a multi-region DVD player which can be picked for as little as $35.00. You’ll make the purchase price up dozens of times over with the savings you’ll obtain buying Region 2 DVDs. It is more than worthwhile to shop around a number of websites and compare prices before every purchase. In my experience prices can vary frequently so what is cheaper one day at a store may not be so the next day. Try eBay as well. Also be on the lookout for sales. JB Hi Fi seem to have 20% off DVD sales every few weeks. It’s worthwhile subscribing to the stores’ emails so that you can be advised of upcoming sales. If you are looking to buy the complete collection then it’s worthwhile purchasing titles when you find them on special even if they’re not your favourites. If you’re going to buy them all eventually you’ll be kicking yourself that you missed the chance for a bargain. Especially when it comes to Special Editions, don’t buy your DVDs immediately upon release. Prices for new releases are always at a premium so if you are prepared to wait you can often save up to $10.00 on the purchase price. This is another fairly obvious point however it’s easily overlooked. There are 155 Classic Series serials, 90% of which have been released as individual stories and not as part of a box set. Unless you’ve rote learnt the names of every title then you’re sure to forget what you’ve bought and also ordered. In completing my collection I used Mark Campbell’s Doctor Who. The Complete Guide, to mark off the serials as I ordered then, and again as they were received. The book has the added advantage of allowing me to see what’s next in my marathon and also quickly consult a list of cast members, writer, directors and the like for each serial. Probably around 10% of Classic Series titles have been released as part of a box set. Find out what serials are included in each box set as generally you can’t search by story title for those serials contained in a box set. A complete list of DVD releases can be found here. 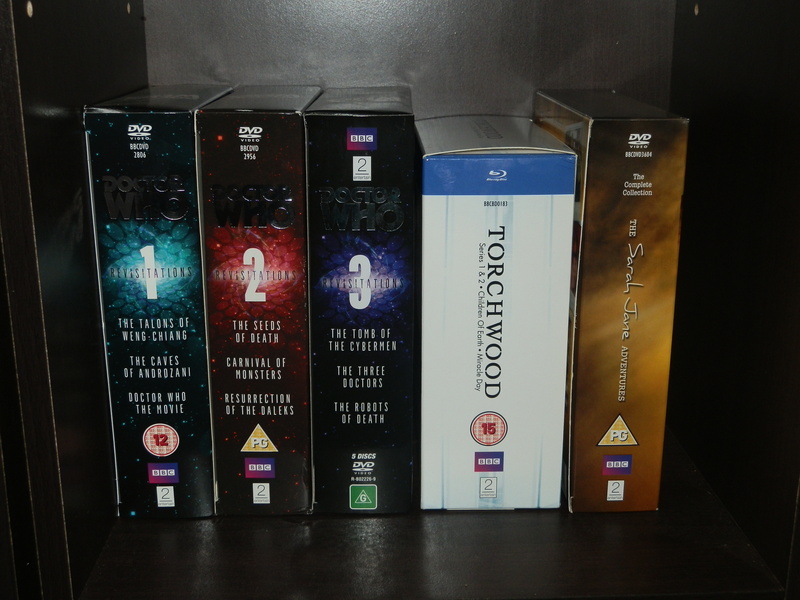 Although New Series DVDs are packaged as Series box sets, Classic Series DVDs are generally sold by single serial only. 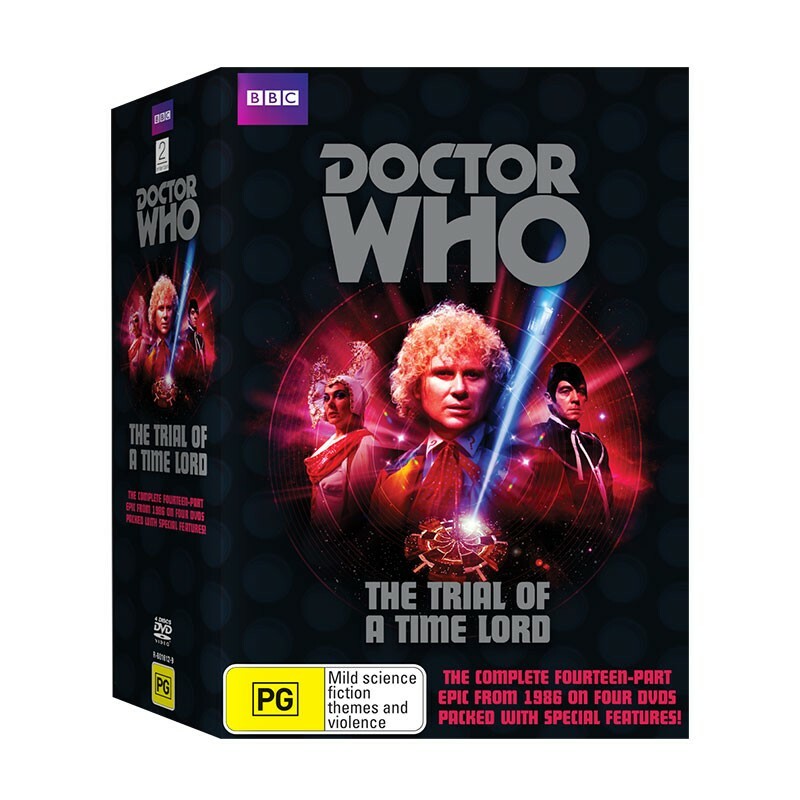 The only Classic Series Seasons released in a single box set are Season 16 (the Fourth Doctor and Romana I) The Key to Time, and Season 23 (the Sixth Doctor, Peri and Mel) The Trial of a Time Lord. This unfortunately means that Classic Series collecting can be an expensive past time and also takes up a great deal of shelf space. Once you’ve finished your collection display it with pride and sit back and enjoy watching 50 years of Doctor Who history. You’re in for a great ride! I’ve posted several UK based online retailers with free or low cost world-wide delivery here. DISCLAIMER: The information provided in this article is of a general nature only and the author does not purport to be an expert in the sale or operation of DVDs or DVD players. The information is made available on the understanding that the author is not engaged in rendering professional advice. Buyers of DVDs and DVD players should make their own inquiries in respect of compatibility issues. Thanks for your comment. Take your time and savour Doctor Who as you’ll get through them all eventually! 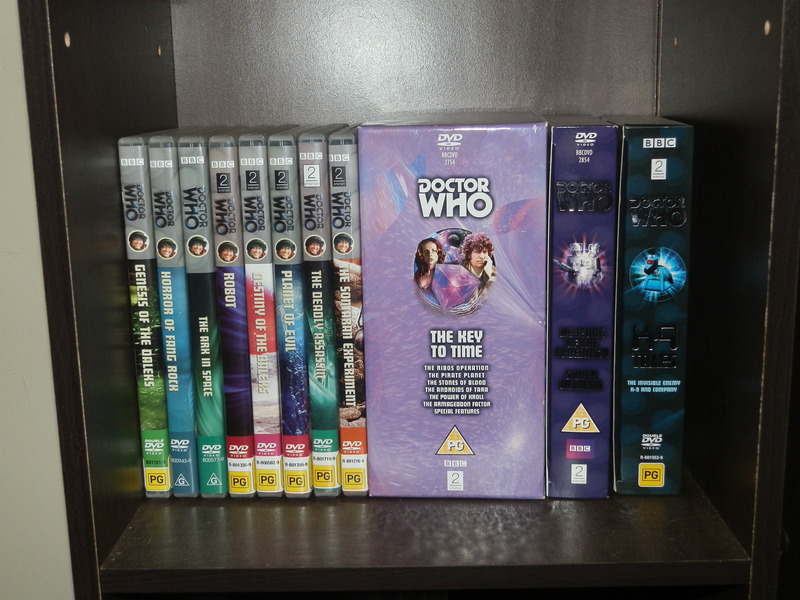 I have a collection of 104 Dr Who dvd’s starting with episode 1 going through the complete 4th series. I’m looking to sell them any ideas on the best way? Fantastic article … it was fun reading how you accomplished acquiring the DVDs. I am in the midst of a similar quest, as perhaps many other are as well. I have found that the US Region DVDs are generally more expensive … sometimes two or three times as much as the same DVD in the UK. So my solution was to buy a $50 all region DVD player on Amazon and buy the UK DVDs … overseas shipping was only about $3 or so when bought at Amazon UK. It did not occur to me to check the Australian sites … wonder how the shipping costs overseas to the US are there! I will need to look into it and some of your other options! Thank you so much for taking time to write this up! Thanks for your comment, Technoheaven. Buying a multi-region DVD player certainly is the best option, particularly when you’re in the States. I had a look at Fishpond’s website and they charge quite heavily for postage to the US. You’d hope that there’s a US equivalent that also offers free postage. Although I purchase through the Australian site, most of the DVDs come directly from the UK with absolutely no postal charge. I’ve picked up a number of Fourth Doctor DVDs for less than $9.00 each. It’s absolutely brilliant! Nice. Your collection is bigger than mine, but I’m quite glad to be spreading it out for a few more years to be honest. I’d like to have seen a recommendation for total beginners. I am finding that a lot of newer fans are asking where to start with classic who, they’ve watched Hartnell and found it prohibitively slow for a modern audience to dip into.Perhaps something to think on for my blog. I wasn’t aware of region 2 also being region 4 compatible- is it likely to be vice versa as well? For UK fans I recommend trawling CEX for DVD’s. I’ve seen Doctor Who in there for about £3! (Second hand, but perfectly watchable). Thanks for your comment. 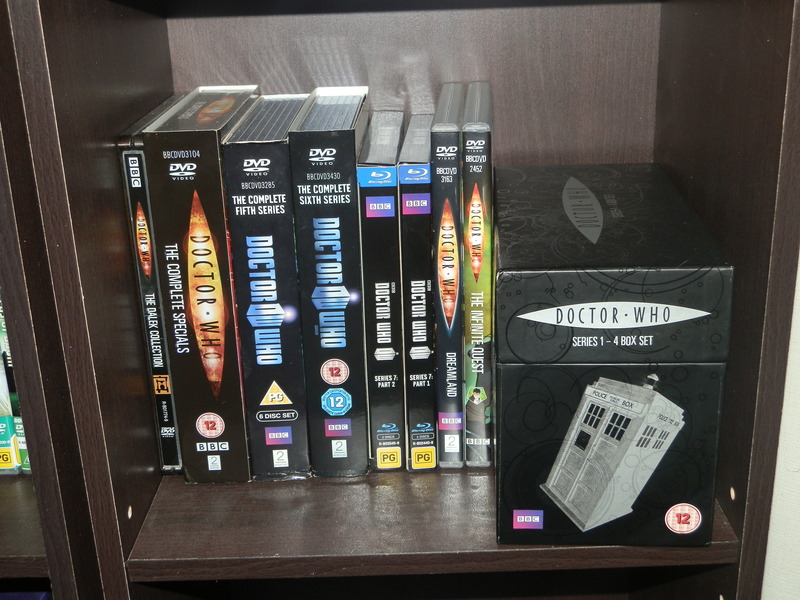 Whilst Region 2 Doctor Who DVDs are dual coded for both Regions 2 and 4, Region 4 DVDs are only coded for Region 4. I have absolutely no idea why! 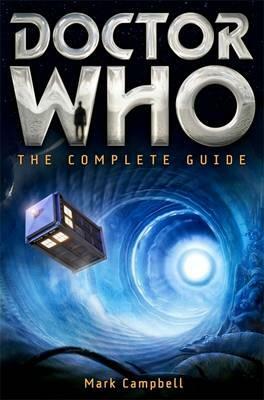 A post on where to start with Classic Who sounds like a good idea. The problem is that it’s just so subjective. What one person likes another hates. I’ve always thought that “Spearhead from Space” would be a good starting point for New Series fans because of the parallels with “Rose”. I’m glad this article has been helpful to you, Kenneth. I’m going to update it soon with the addition of some UK based online retailers that I haven’t bought from but come highly recommended by others. There are a couple that have excellent postal rates to the US. You have an amazing collection. I have a question however. 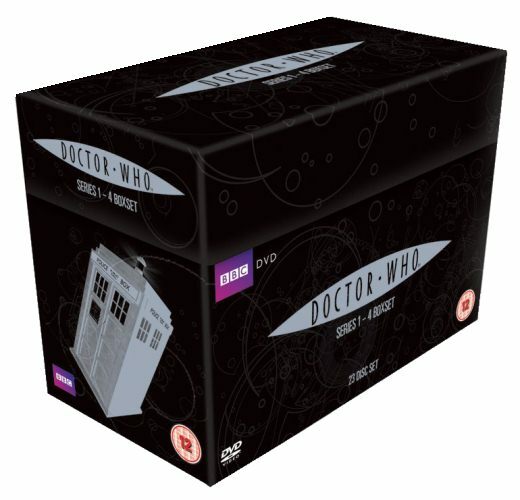 I want to buy Dr Who Series 7 complete box set from amazon.co.uk as it’s much cheaper than in Australia (where I live). However it says its region 2. From what you said above that they are duel coded to region 4 as well, will series 7 be duel coded. 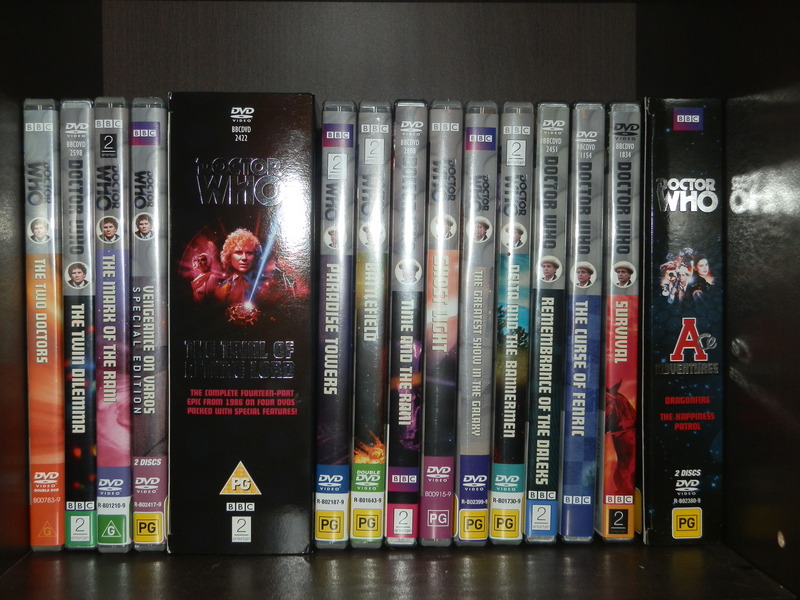 I read on wiki that doctor who dvds are no longer duel coded from 2009 releases onwards. I was just wondering if this is true, or would the complete series 7 box set actually be coded for region 2 and 4? Thanks for your question Daniel. Firstly, I assume that you’re referring to the DVD version of the Series 7 box set. I bought parts 1 and 2 separately in Blu Ray format so unfortunately I can’t definitively answer the question. That being said, I’d also read that releases after 2009 weren’t dual coded however that certainly isn’t my experience. 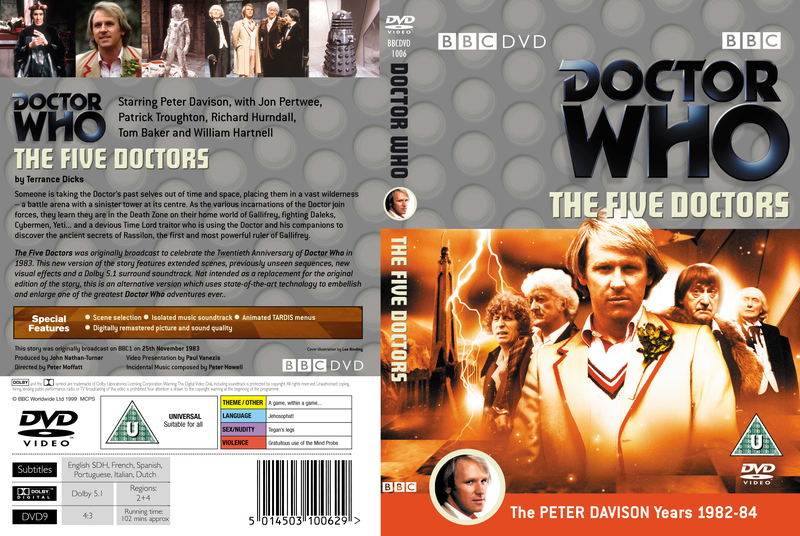 I have the DVD version of the Complete Sixth Series in front of me now and it’s a 2011 UK release. It specifically says on the slip cover region “2 + 4 Colour PAL UK”. That certainly contradicts what we’ve both read about post 2009 releases. Hi Caleb. I’ve only just noticed your post and apologize for my delay in replying. All of the classic Who DVDs have bonus features with the exception of the recently recovered “The Enemy of the World” and “The Web of Fear”. Both of those are “vanilla” releases. Special Editions are essentially an updated reissue of an earlier DVD. Usually that involves a clean up of the video and extra special features. Sometimes a special feature on the earlier issue isn’t included in the Special Edition for copyright reasons. On “The Aztecs” Special Edition there was the added bonus of the recently recovered episode 3, “Air Lock”, from “Galaxy 4” and a reconstruction of the other missing 3 episodes. Phillip, The Two Doctors along with 20 other episodes have been discontinued in the U.S. market. I started purchasing the UK versions as they are much cheaper than the U.S. versions. 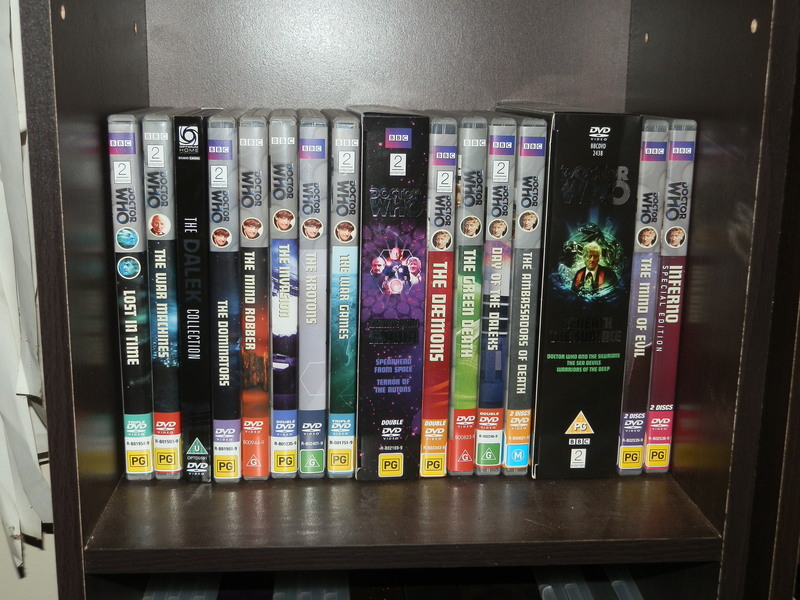 Go figure….after import costs most Doctor Who DVD’s have cost me about 6-10 dollars less than the U.S versions. I have just converted them on my PC to region 1 so I can watch them on my player. Some people may not like having to convert them, but I do since it allows me to keep my original scratch free. 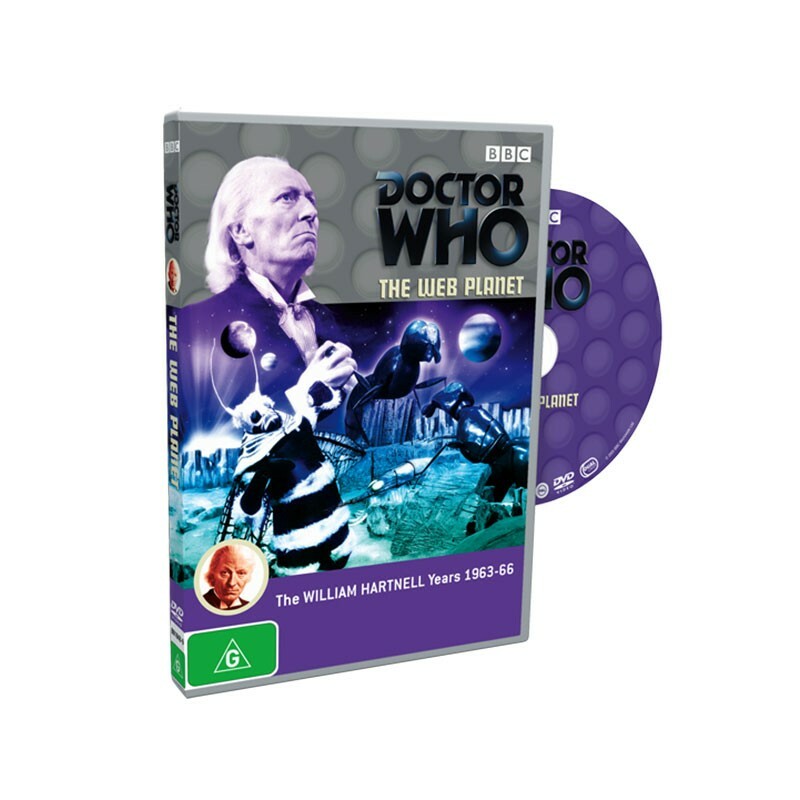 The following have been discontinued in Region 1 -The Rescue/The Romans, The Web Planet, The Time Meddler, The Gunfighters, The Invasion, The War Games, Terror Of The Autons, The Time Monster, Planet Of The Spiders, Black Orchid, Earthshock, Time-Flight, The Awakening, Frontios, Planet Of Fire, The Mark Of The Rani, The Two Doctors, Battlefield, Ghost Light, The Curse Of Fenric. Yes indeed … I actually found several that cost 3 or 4 times as much from Amazon USA than on Amazon UK. What I did was buy a $50 DVD player that is region free – a Philips brand player – and it ends up that this inexpensive DVD player is often preferable over my Sony BluRay player! If only I had read your article earlier. I am about half way there but have been particular in buying R4 versions. Your comment about R2 including R4 format is good and will save me much in the future, as well as meaning that the second half of my collection will consist of more attractive looking CDs!. There are other good points that you have made, such as JB Hi-Fi as a source, which I had overlooked. Thanks twistie1. Of course, I meant DVDs. For “CDs”, please read “DVDs”. Thanks for your kind words David. I’m glad that this blog post has been of assistance to you. Cheers! I felt the same way as you, until someone explained it to me. If you still want the extras, the set would be between $100 to $200, every episode has a lot of extras. Assume there are 5 stories in a set, then you have a 10 disc set (one with the episodes, and one for the extras). I’m from the UK and I have a complete collection of the classic range, which means they are all totally Region 2 releases with matching spines. I am exclusively old school – so no New Who for me, I just do not dig Moffat’s ‘Hollyoaks in Space’ – its not my bag – but each to their own. But that’s 186 dvds (140 Official, 20 LC Recons, 20 ‘Revisitations’, the two 60’s films,the 8th Doctor film (McGann has presence), Spearhead Blu-ray, Adventure in Space &Time, and the Shada animated IL Bootleg. Its taken me 5 years + 1 Large dvd cabinet. But I can only approximate the total cost basing it on the average price I paid for each in the UK of £8.00 (some were more, some were less) So that’s 166 x 8 = around £1300. But I know I’ve paid more like £1600 with bits & bobs, silver cases, recons, covers & blank discs etc. It just puts it into perspective, when you think the complete original Star Trek Blu-ray (which I also like) is just around £70 ! Ha! You are exactly who I’m looking for ! Is there a list you could give me or if it’s easier at least send pics of your collection so I can order them? I wish i had bought the whole series when i was working full times, but since the GFC i am only working 2 days a week….so, can i come over and watch all of yours? Thanks for your post! I have been looking at getting the revived series here in Australia but it costs so much!! I have a question for you if you are able to answer. Ozgameshop sells a box set for series 1-4 but they are stating it is only for region 2 (http://www.ozgameshop.com/box-sets-tv-dvd/doctor-who-complete-series-1-4-box-set-dvd). I contacted the seller and asked whether it would be dual region but they said that it was region 2 only and wouldn’t know if it’s dual region. However, other UK ebay sellers are selling the same box set and stating that it is dual region 2+4. Do you think that the box set sold by ozgameshop would be dual region? Reason I ask is that they are selling it for a very affordable price! I wanted to take the chance but wouldn’t want to waste my money. Hope you can help, thanks again for your post!! Hi Jess, sorry for taking so long to get back to you. Unfortunately this blog has had to take a back seat to innumerable other activities at the moment. The box set that you refer to certainly plays on Region 4 as I have the very same one myself. In my experience all of the UK produced BBC DVDs, which are region 2, are dual coded for region 4. If you haven’t already bought the box set, go for it! Thanks for the link Jon. That’s very handy. Does anyone know or have tired to collect digitally all that is available physically? While its nice to own physicals, the convenience of digital cannot be overlooked. I’ve been wanting to watch the older series since enjoying the newer ones so much, but starting from the older DVD’s is a bit daunting. Thanks to the net i have managed to watch all of the doctor who episodes even the lost ones done useing still photos it took a long time but it was so worth it , i am working on my dvd collection as well , i also used the net to watch the complete blakes 7 series as well. Last weekend I watched Survival, The Movie and The Underwater Menace. I started to watch Doctor Who in february last year. Now I have seen all the classic episodes, so it took me 1 year and 1 month. It was a great experience! Just found this website very nice collection I just started collecting this because of a huge jb-hi-fi sale. 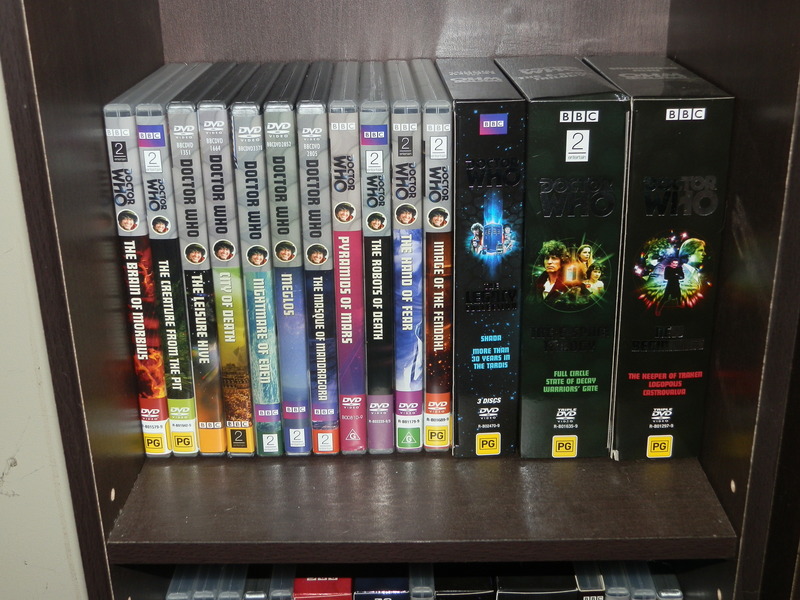 Bought about $700 worth of doctor who dvds for $300 very nice article.